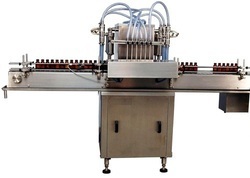 Manufacturer of a wide range of products which include liquid filling machinery and liquor bottle filling machine. With the help of our production expertise and experienced workforce, we are able to manufacture a quality range of Liquid Filling Machinery. It is made by using superior quality parts & components, which enhance the performance and makes it more durable. Clients appreciate our range for delivering reliable performance, with least maintenance required. With a focus on the ever-evolving demands of our customers, we have come up with a wide range of uniquely designed Bottle Filling Machine. 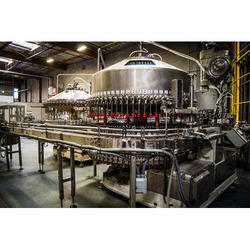 Looking for “Liquor Bottle Filling Machine”?